able-bodied school. The biggest challenge I have faced thus far is prejudice and discrimination. Not everyone realizes that they treat me differently, so I compiled a list of things I want my able-bodied peers to know. 1. I am a nineteen-year-old college student. Just like most of my peers, I do not want to be babied or pitied. 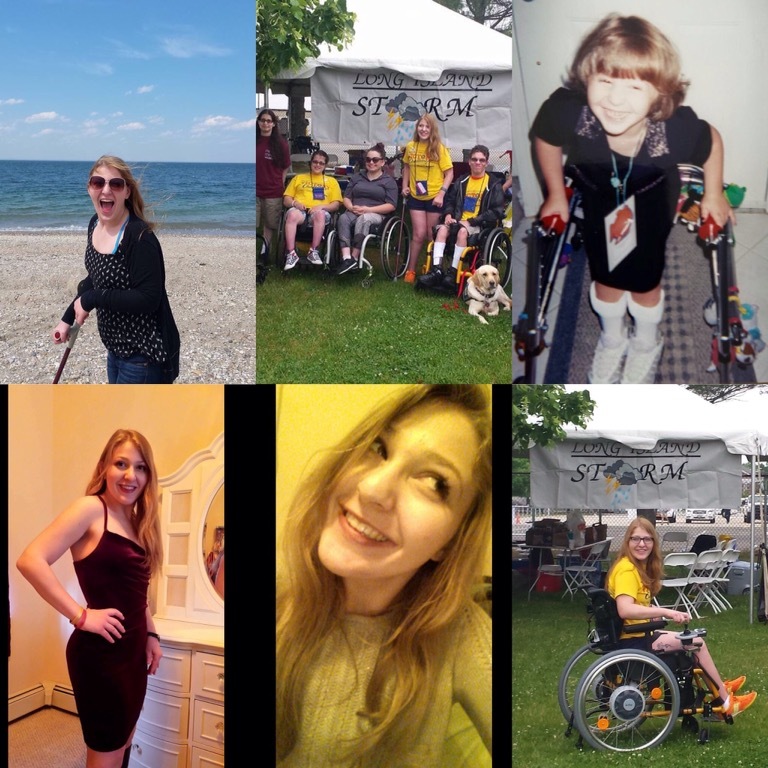 My disability may affect my muscles, but I am like most nineteen year olds–probably too sassy for my own good, but also scared of being rejected by my peers. Unfortunately, my disability has caused me to be rejected more times than I can count. I just want to be treated like everyone else. 2. Sometimes I fall. This tends to scare my able-bodied friends. There is not much I can do to prevent falling, but the best way for my friends to help is to ask me if I need a hand getting up. 3. Sometimes I feel insecure about my disability. Our society chooses to glorify able-bodies, and only focus on disabled people to feel better about their lives. I become an object to be pitied rather than a human being. When this happens, I need my friends to support me and also advocate to broaden our society’s perception of success and beauty. 4. I cannot do everything. Most people my age have grown up with the notion that they can do anything they put their mind to. This is not true for anyone (everyone has weaknesses and limitations), but for me it is a little more obvious. I will never be a neurosurgeon or a pilot. I cannot go iceskating and I need help to just to get dressed. While I am used to this, not everyone is. My friends and romantic partners sometimes have to make sacrifices because of my limitations, but hopefully those sacrifices are worth my friendship and love. 5. I do not wish to be able-bodied. Disability is a natural part of diversity; it is beautiful, yet complicated. I love who I am and I know that disabled people are an important part of society. We tend to view life differently from our able-bodied peers, and as a result, we have different lessons to teach and different purposes that able-bodied people cannot.